Dehydration and Your Skin. CHOLLEY Phytocell Arganight Cream can help. Besides hydrating your entire body with more water, there is another solution. CHOLLEY Phytocell Arganight Cream offers an intense emollient-hydrating action that will rehydrate the skin, creating an intense firming and skin conditioning action. Packed with antioxidants, it stimulates the production of type I collage. Skin cells talk to each other continually. This level of communication helps to stimulate regenerative processes. 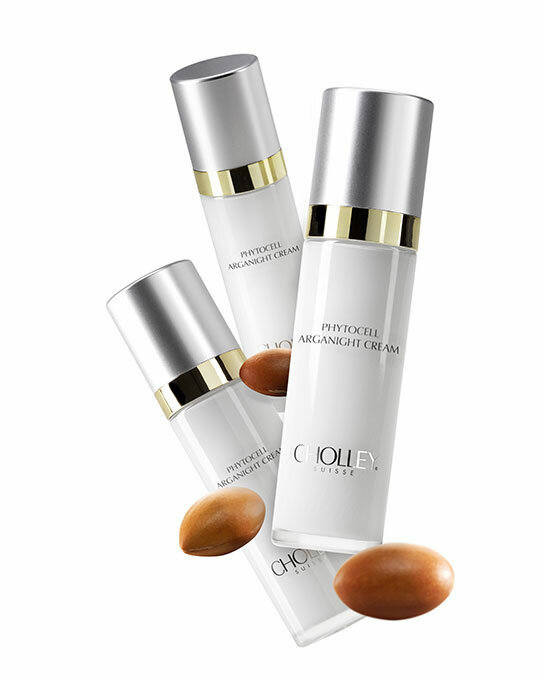 CHOLLEY Phytocell Arganight Cream uses this communication process to help promote regeneration. Dubbed IC-RAMP, takes advantage of the fact that phyto stem cells can release Connective Tissue Growth Factor into the epidermis. That pushes new connective tissue production and builds additional biological support structure into the skin. The result is hydration like never before. Dehydration doesn’t have to be a normal for your skin. CHOLLEY Phytocell Arganight Cream can help. If your skin begins to feel more flaky and sensitive, and you’ve started to notice a dull look, dehydration may be setting in. If you want beautiful skin, dehydration is a concern you should address immediately. Dehydration can be caused by a number of different factors. It could be the change in weather. It might be an unhealthy diet. It could also be a direct result of your lifestyle. Alcohol and cigarette smoke are nothing short of dangerous for your skin. Whatever caused it, though, the result is always the same, a depleted water content, which means less supple, resilient skin. You may notice it if your skin suddenly changes. It may begin to feel a bit more itchy than usual or it might feel tight across your face. Increased sensitivity can also be a sign of dehydrated skin. Your skin’s moisture barrier has just been disrupted, and that’s nothing short of dangerous. It’s also possible that you see those fine lines and wrinkles first. If you pinch your cheek and you see fine lines, you’re most certainly suffering from dehydration on a large scale. Fortunately, though, it can be temporary, but only if you address it as soon as it happens.